Serato Scratch Live works by using control vinyl or CDs which are pressed with an audible tone. Once your CD players start playing the CD, the interface converts the signal from the control CDs into digital audio. The Serato software then processes what the DJ is doing and produces a stream. 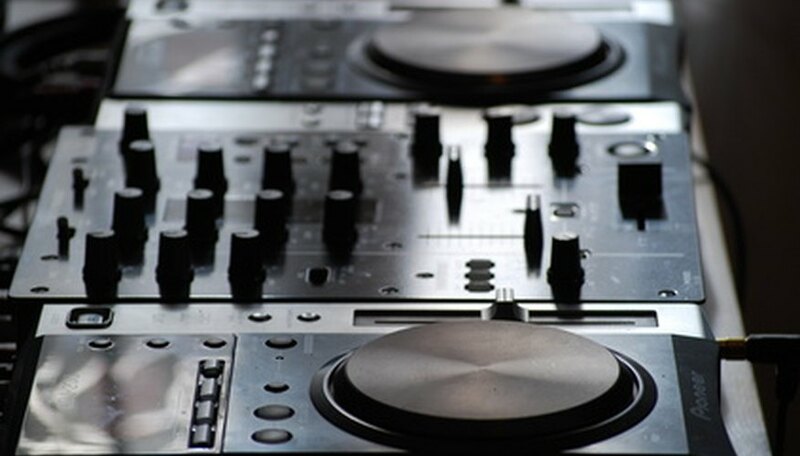 Anything the DJ does to manipulate the tracks is streamed through the speakers, allowing you to scratch and mix your tracks without spending the money on vinyl or CDs -- just buy digital tracks and mix. Connect the outputs to your mixer using the RCA cables included with your Serato setup. Left and right deck line outputs connect to their respective (left and right) line inputs on your mixer. Set your mixer to "Line" level. Connect your "PHONO" inputs on your mixer to the left/right respective "THRU" outputs on your interface. Using "THRU" allows you to switch from Serato Scratch Live to your own CDs at the flip of a mixer switch. Connect the interface directly to your computer using the provided USB cable. Do not plug it into a USB Hub or splitter. Connect your CDJs to the deck inputs on the SL 3 interface. Flip the "DIP" switch down for "line" for CD players. Connect your SL 3 outputs to the respective line inputs on your mixer. Connect the SL 3 AUX output to to an AUX input on your mixer (or an additional line input) if you would like to output the sample player. Connect an AUX input on the SL 3 to an AUX output or additional output on your mixer if you plan to record. Connect the interface to your computer using the provided USB cable. Disable the built-in effects, keylock or master tempo on your CD players before starting this task. What Do I Need to DJ With a Laptop?